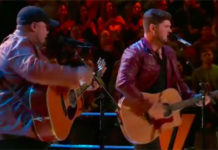 Anthony Riley and Travis Ewing from Team Pharrell battled it out with “Get Ready” by The Temptations on The Voice Season 8 Battle Rounds, Tuesday, March 10, 2015! 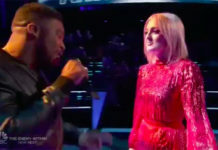 “I go with Anthony but Travis gave a great fight,” said Adam Levine. “Anthony you literally stepped out to The Temptations, Travis you made that a battle,” said Blake Shelton. “You guys came out of here and definitely high energy and lifted our spirits. My vote will be for Anthony,” said Christina Aguilera. “Everything I and Lionel suggested, I feel good about that,” said Pharrell Williams. Th winner of the battle is Anthony. Blake Shelton steals Travis Ewing. 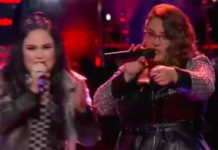 Watch their performance on the video below!